GTA 5 is a video game phenomenon the likes of which is rarely repeated. Launched in 2013 on Xbox 360 and PS3, and later on PC, Xbox One, and PS4, the game continues to be a worldwide sales success. GTA 5 has sold 95 million units and counting. This is a staggering achievement, but how many of those millions of players know about GTA 5's many hidden secrets? We're here to give you the inside knowledge on GTA 5's many cool Easter Eggs and mysteries. While many people go through the entire GTA 5 campaign, switching between the three main characters, without seeing a single Easter Egg, others stumble upon secrets in the most unlikely places - pretty bizarre ones, too! If you love finding out about little things developers have hidden in video games, this GTA 5 Secrets guide should be right up your street. There are loads of secrets and Easter eggs in GTA 5, so we've picked 10 of the best and rounded them up for you. Read on for the 10 craziest secrets in GTA 5. If you're looking for more on GTA 5, check out our guide to GTA 5 Cheats. We've also got the latest GTA 6 rumors, if you're interested in that kind of thing. What follows is a mixture of strange bugs in bizarre places, outright mysteries, and strange appearances of things that simply can't be explained. If Mulder and Scully existed in the GTA universe, there's no doubt they'd be looking into many of the secrets in GTA 5. Read on for details on goatmen, UFOs, Aliens, huge bones, and more. Be sure to check out all three pages of GTA 5 secrets so you don't miss out on any of the really cool ones. Some fans have discovered a bizarre mistake in GTA Online that bears a striking resemblance to the myth of the Bermuda Triangle. For those who are not aware, the Bermuda Triangle consists of a triangular area in the North Atlantic, with three points connecting the coast of southern Florida, Puerto Rico and the island of Bermuda. This area is infamous due to the mysterious supposed disappearances of aircraft and ships, with innumerable conspiracy theories suggesting the involvement of aliens, spells, monsters, dimensional portals or even Atlantis (although this legendary underwater city is, as a rule, associated with the Mediterranean Sea). 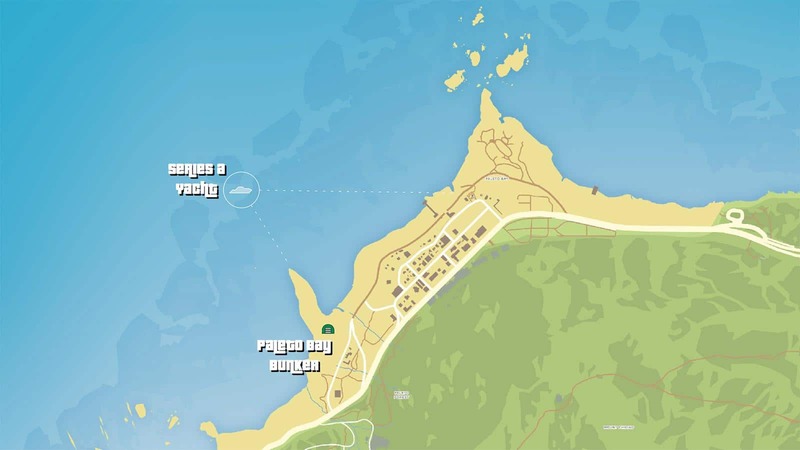 In GTA Online there is also a triangular area in the water created by the Paleto Bunker points, the location of the Yachts A Series and the North end of Paleto Bay. 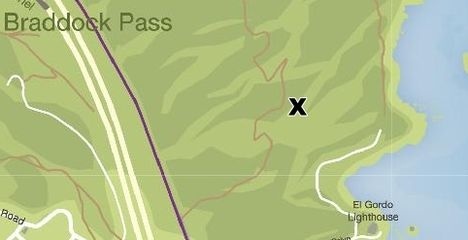 You can see the location in the image below. Basically, as soon as a player enters this area, whether it is sailing or flying at low altitude (the height needed to activate this bug hasn't been verified), they will be teleported back without their vehicle. Many players have tested the bug and it worked numerous times. Also, if you have to do a delivery or grocery quest - one of the Biker Missions brings you to this area - you will be teleported back to the coast and you will lose both your vehicle and the products you had, so be careful. GTA 5 Secret 9. Is That Kanye West? One of the NPCs present in GTA 5 caught the attention of some players because of their resemblances to a highly controversial music star: Kanye West. That's right, several players have managed to detect the rapper behind hits like Gold Digger and Heartless. Of course, Kanye's inclusion in GTA 5 hasn't been confirmed by Rockstar and, despite the more or less striking appearance of the NPC, it is impossible to find him in a certain location - this Kanye NPC appears randomly to each player, which means you have to keep your eye open and do if you want to find it. 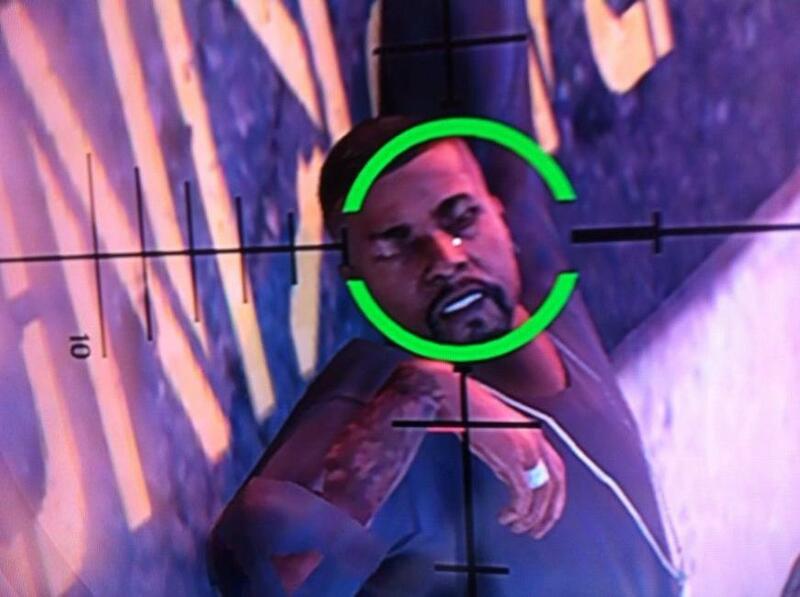 Take a look at the following picture and give us your opinion: Is this Kanye in GTA 5? Mount Gordo is one of the three mountains that you can find in GTA 5, the others being Mount Chiliad and Mount Josiah. Mount Gordo is the smallest peak in the state. It is located northeast of Blaine County. The ghost of Jolene Cranely-Evan can be found on this mountain. In 1978, Jolene Cranley-Evans and her husband, Jock Cranley, were walking along the cliffs overlooking the El Gordo lighthouse. The couple had marital problems. Jock wanted to leave Blaine County, but Jolene wanted to stay, saying she had to take care of her parents and run her successful guest house. As a result, during the walk, Jock pushed Jolene down the cliff of Monte Gordo and later she died of internal injuries due to her fall. Police concluded that Jolene fell off the cliff by accident, and Jock was released without charge (despite being covered in blood). Jolene's ghost appears at the top of Mount Gordo in the evening between 11 pm and midnight. When the player approaches, it disappears. On the rock where the ghost floats, the name "Jock" is written in blood, accusing her husband (Jock Cranley) of murder. 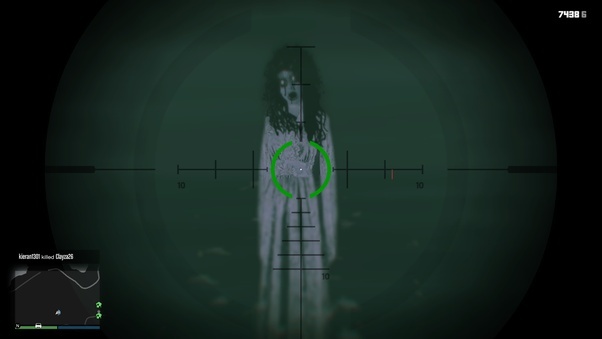 The ghost disappears from view as the player approaches. You can see the location marked on the image below. Head over to page 2 of our GTA 5 Secrets, for more amazing discoveries. Remember to post in the comments if you discover any new Easter eggs. If you're looking for GTA 5 cheats, we've got them too. Tagged with Action,	Guides,	PC,	PlayStation 3,	PlayStation 4,	Rockstar Games,	Xbox 360,	Xbox One.